As many as 1 in 3 U.S. adults could have diabetes by 2050 if current trends continue, according to a 2010 analysis conducted by the Centers for Disease Control and Prevention. In 2014, the agency contended that 1 in 4 Americans did not even know they had the disease. Obviously, diet plays a vital role in how well your body does or does not handle the sugar and high carb foods you feed it. These studies looked at two kinds of nutrients that may also play a role in supporting your body’s blood sugar management. Fiber reduces chances for type 2 diabetes, but most studies have focused on the U.S. In this large analysis of fiber studies worldwide, researchers reviewed 19 clinical trials covering over 350,000 participants. Doctors separated people according to how much fiber per day in the diet: from an average high of 26 grams to an average low of 19 grams of fiber per day. Overall, those with the highest amount of fiber in the diet were 18 percent less likely to develop type 2 diabetes compared to those who got the least fiber. The benefits from fiber were linked to lower weight; those with the greatest benefit from fiber also had lower body mass index scores, suggesting fiber helps decrease weight. Doctors are not sure how fiber lowers chances for type 2 diabetes, but suggest fiber may help people feel full, may slow absorption of nutrients into the bloodstream, and may beneficially alter fermentation in the digestive tract. In this study, doctors measured antioxidant carotenoids in the diets of 37,846 people and followed up for 10 years. The average carotenoids in the diet were 10 mg per day. People who got the most alpha- and beta-carotene were 22 percent less likely to develop type 2 diabetes compared to those who got the least. For alpha-carotene alone, those who got the most were 15 percent less likely to develop type 2 diabetes compared to those who got the least. Doctors said the antioxidants in carotenoids lower oxidative stress, and that this may be how carotenoids reduce chances for developing type 2 diabetes. Betsy’s Note: This article is for educational purposes only. It is not intended to diagnose, treat, cure, or prevent any disease. Consult your healthcare provider before beginning a supplement, especially if you take medications or have a medical condition. 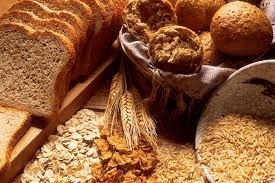 For example, take fiber away from other medications or supplements. Carotenoids also thin blood.